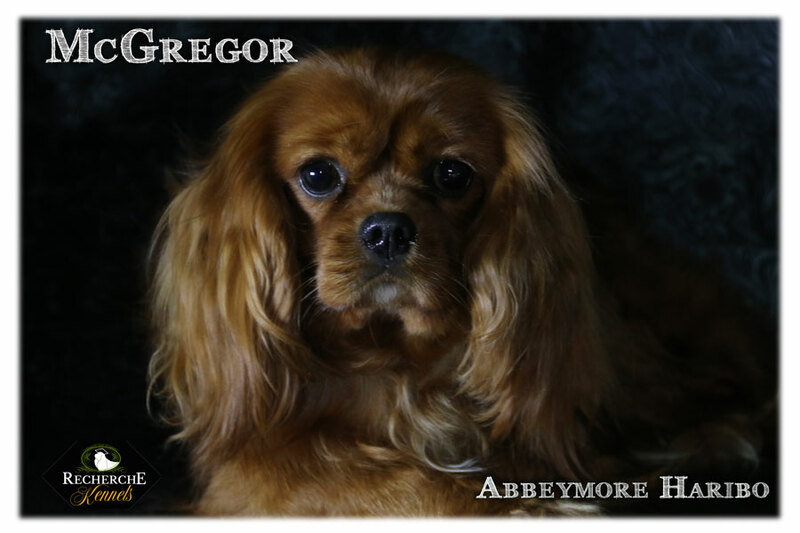 McGregor is an incredibly handsome and sweet ruby Cavalier King Charles Spaniel imported in from Ireland. 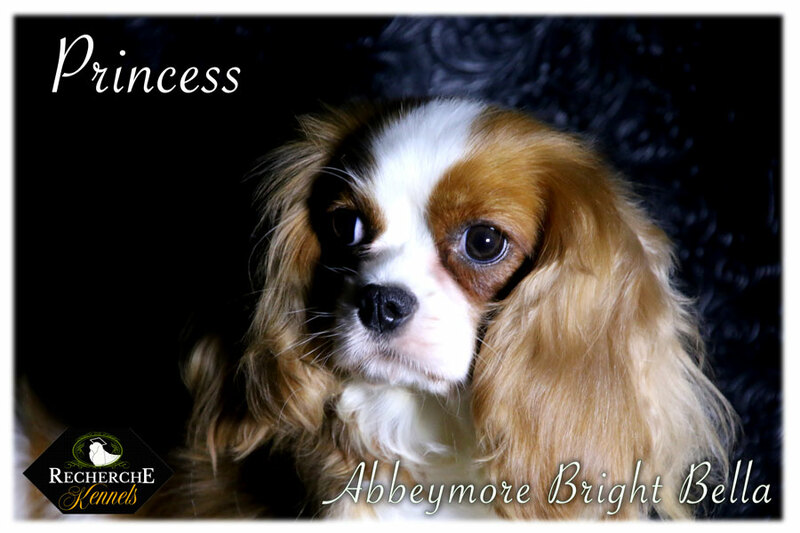 McGregor is the only Cavalier we own currently that’s solid Ruby. 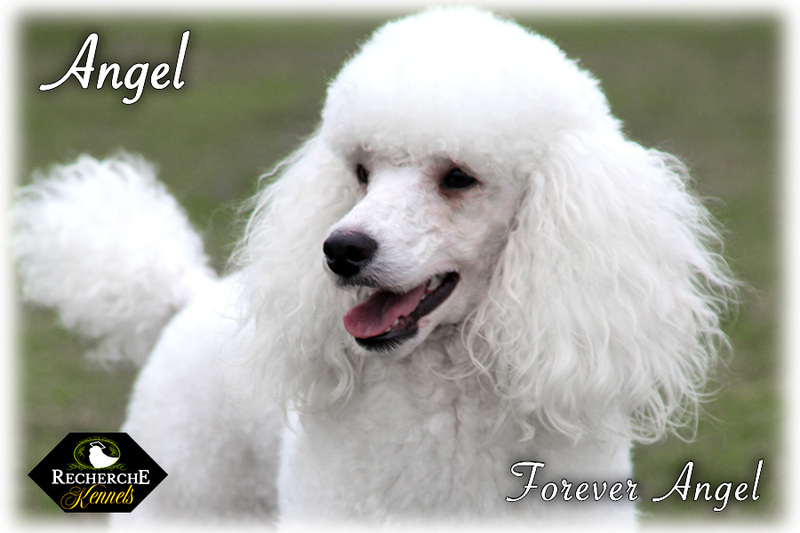 His personality is calm, very loving and dependent. 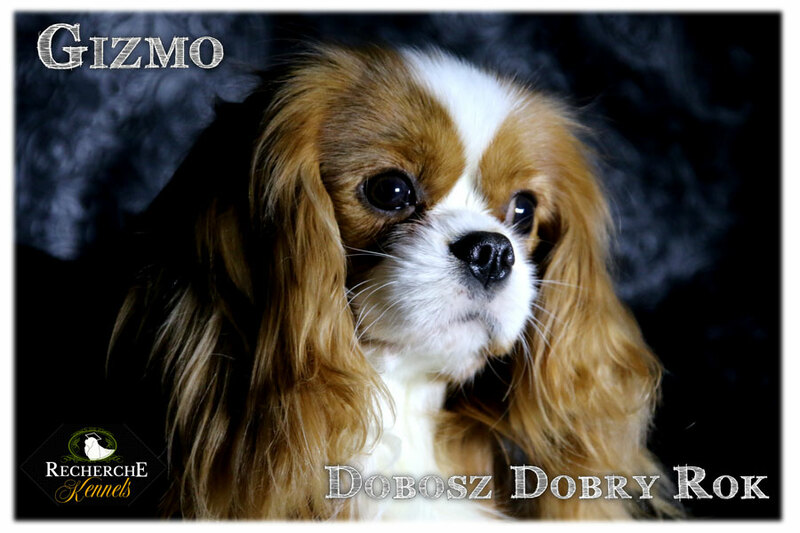 He’s the most calm and laid back of all of our stud dogs. He’s very mature and has always acted older than his age. He’s extremely well behaved and rarely does anything wrong. 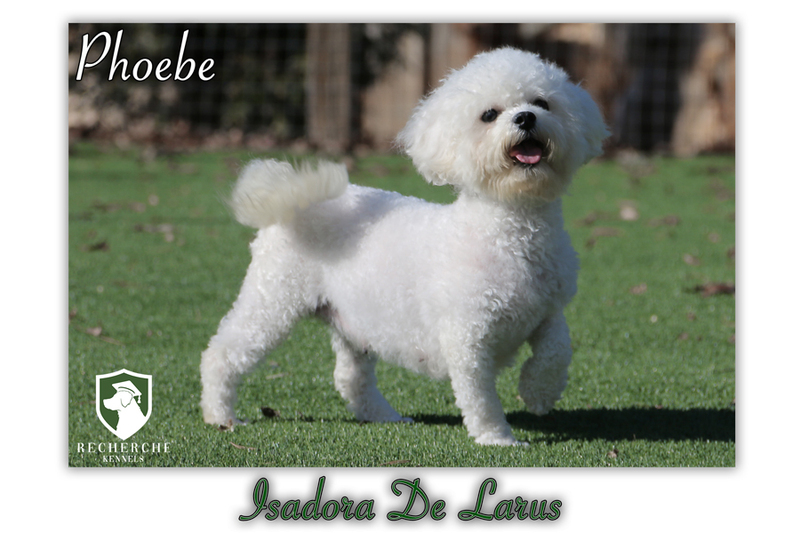 He’s extremely intelligent and has been trained further than any other stud dog we own. 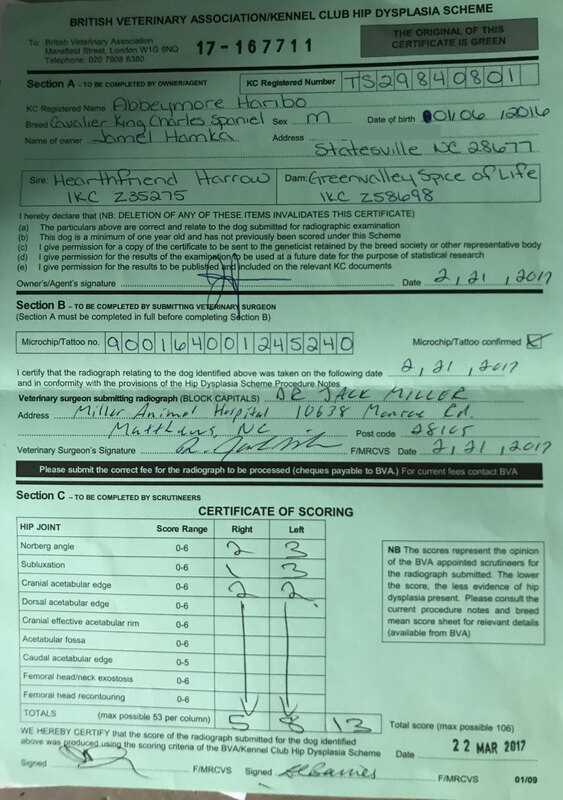 He has his final BVA hip (BVA 5:8) This is equivalent to an OFA “Good” hip rating. 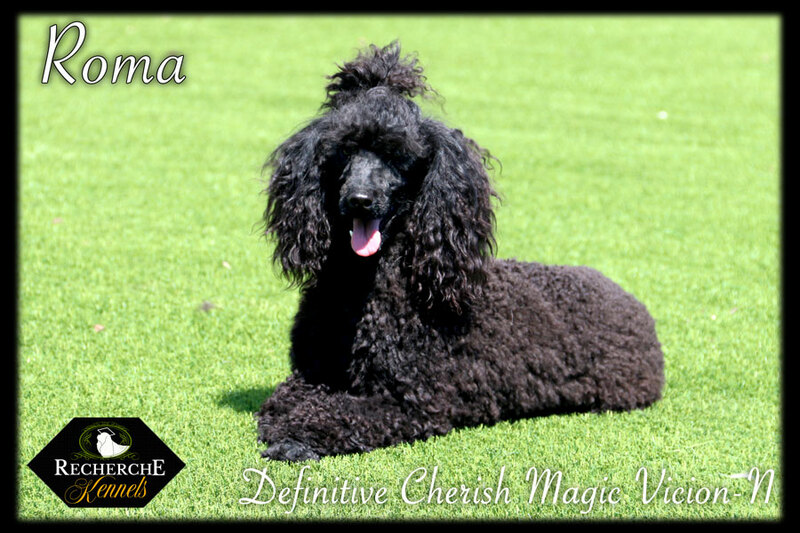 He also has been checked by Carolina Tech’s Regional College of Veterinarian Medicine by an ophthalmologist and OFA and has been cleared with OFA for his heart, his eyes and his patellas. 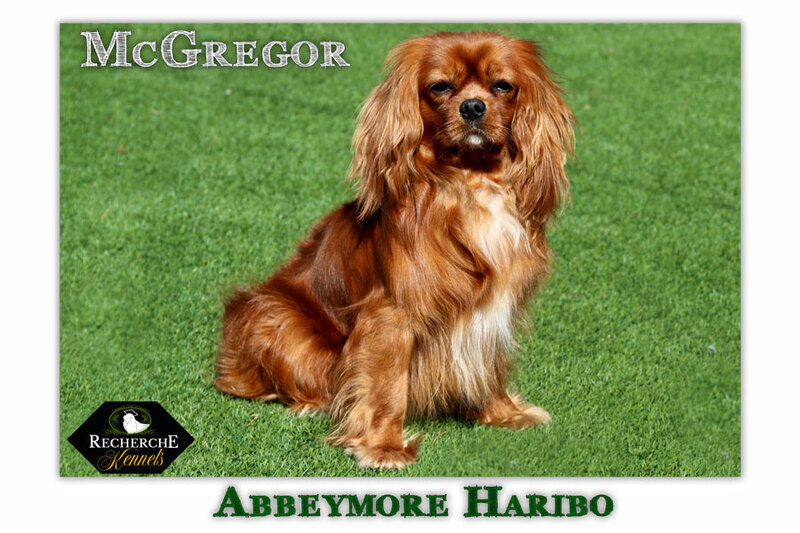 McGregor has been DNA profiled by the AKC and is dual registered with IKC (Irish Kennel Club) and the AKC. 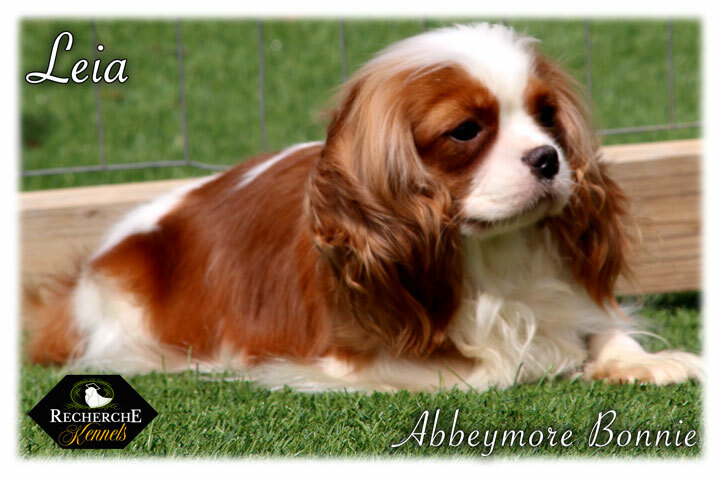 We are grateful to Teresa Veale of Abbeymore Kennels in Ireland for entrusting us with this incredible stud dog. 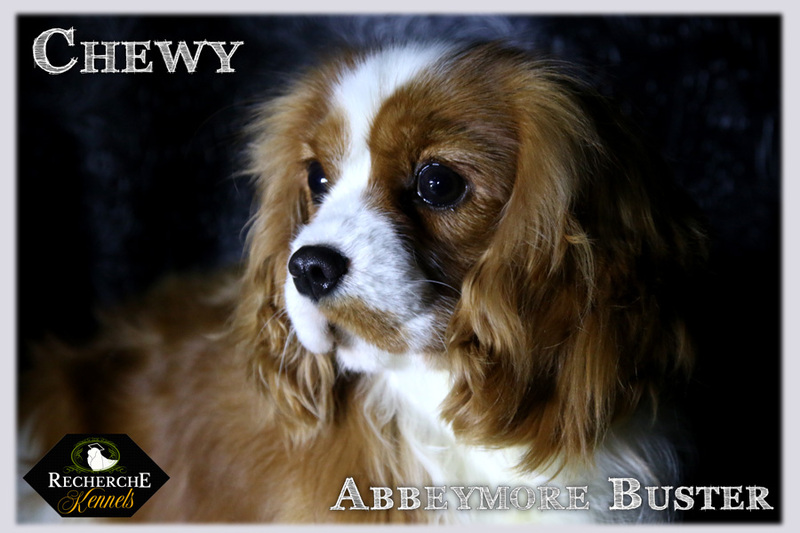 Abbeymore Kennels only breeds Cavaliers with full health tests. 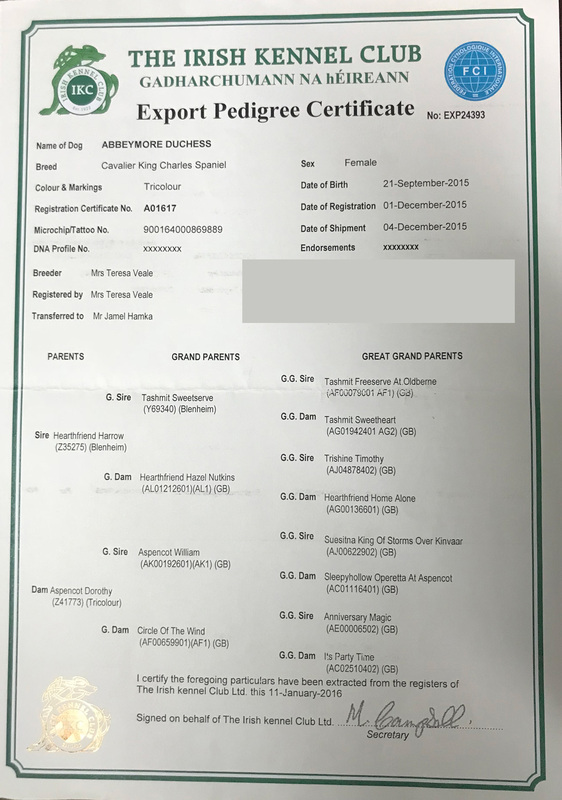 Many of McGregor parents are Irish, British & International Champions. 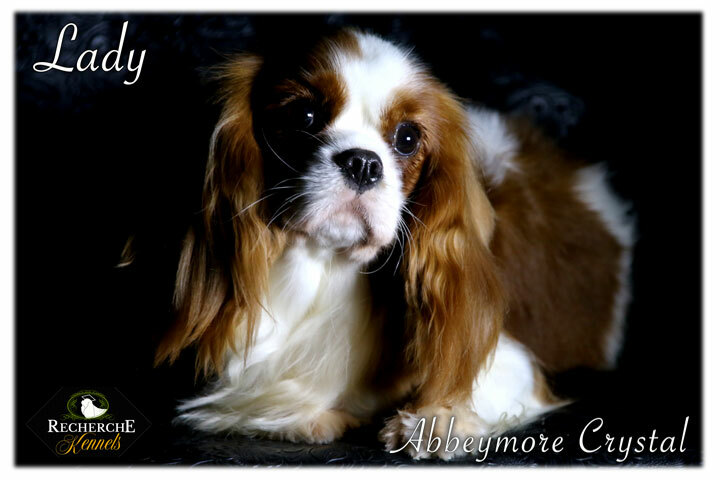 We chose to purchase dogs from Ireland to get the healthiest lines possible since Cavaliers are from the UK.